last month we took a family trip to south lake tahoe. 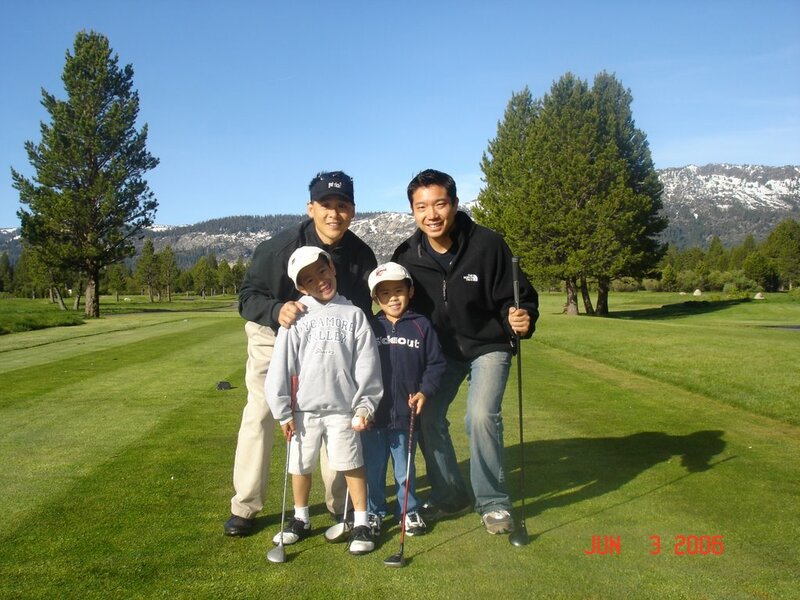 here is a picture of my adorable cousins, a and k, playing a round of golf with their uncles. the backdrop of the snowy mountains are just gorgeous! s and i had dinner on saturday with his sister and her husband, c and m, at this funky richmond restaurant, q. q is known for their comfort food and they have amazing macaroni and cheese! the lamb shank that i had was soo tender, the meat just fell right off! the green beans and mashed potatoes were a nice compliment to the lamb. the red wine sangria was delicious - dare i say, almost as good as andalu's sangria. the apple crisp was a bit disappointing, not as light and fresh as i would have liked. all in all, i'll go back but will just skip the dessert!